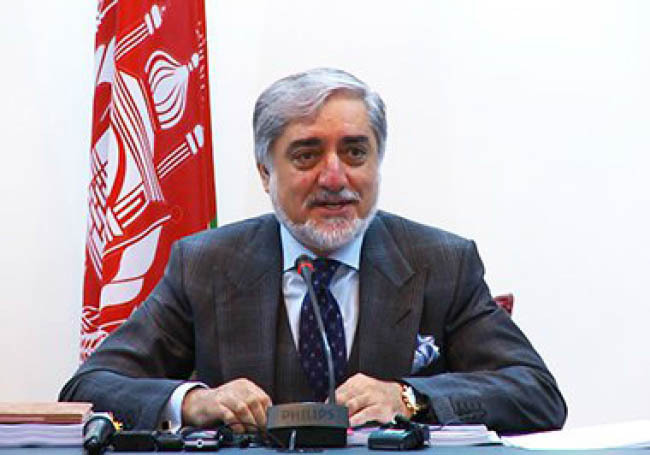 CE Dr. Abdullah acknowledged recently that the leaders of the NUG have failed to create political consensus that has caused separation in political class of Kabul but this issue in no case can justify approach of those politicians who have attended Moscow meeting. Participation in Moscow meeting and marginalizing of NUG has no logic. Whenever the politicians of this territory ignore political position and legal legitimacy of the government, we should not expect our enemies to accept it. Taliban spokesman have already explained their position about the government. One of them has said that Taliban want ANA to be dissolved. This indicate that Taliban want no sign of government to remain. It is not unlikely that Taliban tell Khalilzad on the talks table one thing and their agenda be another thing. Taliban leaders may tell Khalilzad that their Emirate which was collapsed 18 years ago was not a successful experience. But this group (Taliban) may follow in action the plan of revival of that despotic idealogic rule which is adaptable with Pakistan strategic goals before Afghanistan. Some Taliban spokesmen talks on co-existence in future with institutions but their another number frankly talk on disintegration of institutions including ANA. This indicates that Taliban neither have accept the government structure nor its legal and political aspect. Those Afghan politicians participating in Moscow meeting, are destroying themselves with their own chip-axe and the government political legitimacy. These anti-Ashraf Ghani politicians instead to support government structure and unity, are making efforts individually to achieve a share of power in “post-peace agreement” structure. This is frank opportunism. These politicians trample down public interests. It is reality that super powers including Russia instead to attach importance to the Afghan government, hold meeting with Afghan politicians and sit them face to face with Taliban representatives. Russia acts in the direction of Taliban plan and wants to expand her influence through this into political future of Afghanistan. Domestic political disagreement and disunity, encourages superpowers including Russia to sit around a single talks table in absence of the Afghan government. Russia had already promised that in her Afghan peace efforts would not ignore the Afghan government and take permit from Kabul in advance for her every step. But disagreement and political disunity has reached to a stage that Russia no longer take care of Afghan central government. As CE Dr. Abdullah has already acknowledged that the NUG leaders have made no efforts to create political consensus and created such a situation that more political forces were affected with fearing isolation. This fear should have been avoided and the NUG leaders should have gained confidence of all political forces. It is not late yet if the presidential palace create a great political consensus.